It has been SO LONG since I wrote my blog I feel I must apologise because there are lots of schools I need to mention. SORRY!!!!!!!!!!!!!!!!!!!!!!!!!!!!!!!!!!!! Here’s a picture of me and some friends. Yes that really is Roger Stevens sitting next to me. 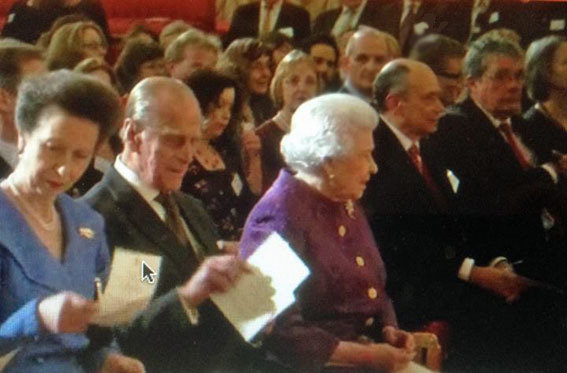 Oh and Her Majesty the Queen, His Royal Highness The Duke of Edinburgh and Her Royal Highnees Princess Anne. Roger and I were invited to a celebration of British Poetry at Buckingham Palace recently, it was a wonderful evening. Around 250 other poets and publishers were there as well. Very exciting!!!!! !